Two awesome things happened today! First off, I sold my Wonderland quilt on Etsy! How freakin' cool! No, my mom didn't buy it! A very nice lady who saw it on Flickr bought it. I was so surprised and excited!!!! I now have money in my fabric fund. Hubby says it's ok to spend my profits on more fabric--hooray, no guilt.....well, Angela will be disappointed when I fall off my fabric diet, but I'm too giddy to be ashamed! Jules is awesome! 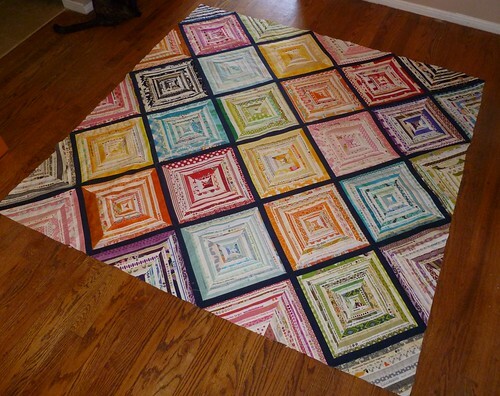 Check out her selvage quilt in progress--totally amazing! She also makes great kids clothes, blankets, and baby items that she sells on etsy. As an added bonus, her husband writes a hilarious blog called Daddy Geek Boy. Lisa is in a virtual quilting bee of mine and she participates in a lot of the same swaps. She was my mystery partner for Make Mine Modern the first round and made me a fantastic tote bag to put my beach blanket quilt in (our bee made the blocks). 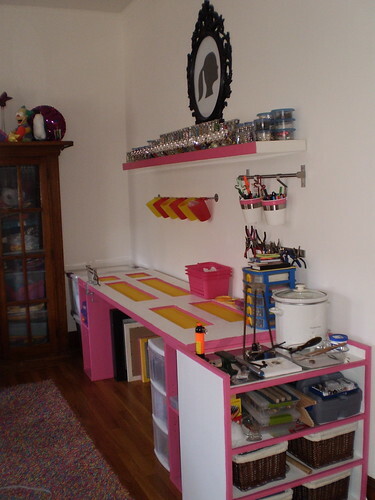 She has an incredible crafting area--I'm so jealous! I know I'm only supposed to do 3, but Beth is pretty great too! 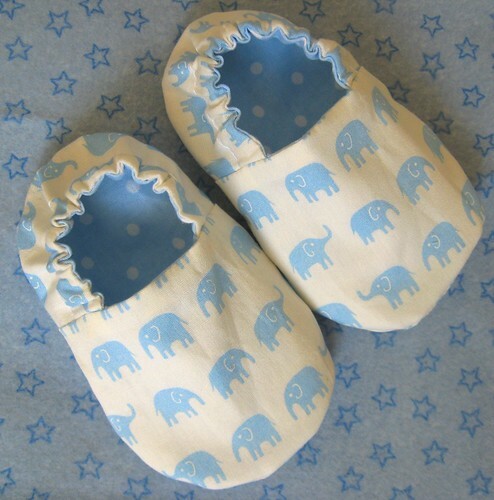 She makes the MOST adorable baby shoes!!!! 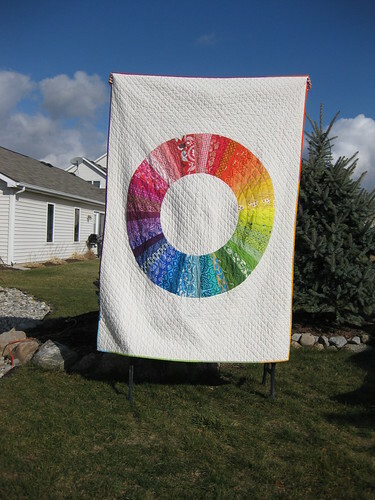 Congrats on selling the Wonderland quilt - it's worth every penny :). How exciting that you can reward yourself with some new stash. fun blogs. :) Thanks for the link! Thanks for the recogniztion Kelly! congratulations again on your etsy sale! what fabrics are on your 'to buy' list? ?